Both politicians emphasised the need for more political cooperation in the enlargement countries in order to enhance domestic stability. 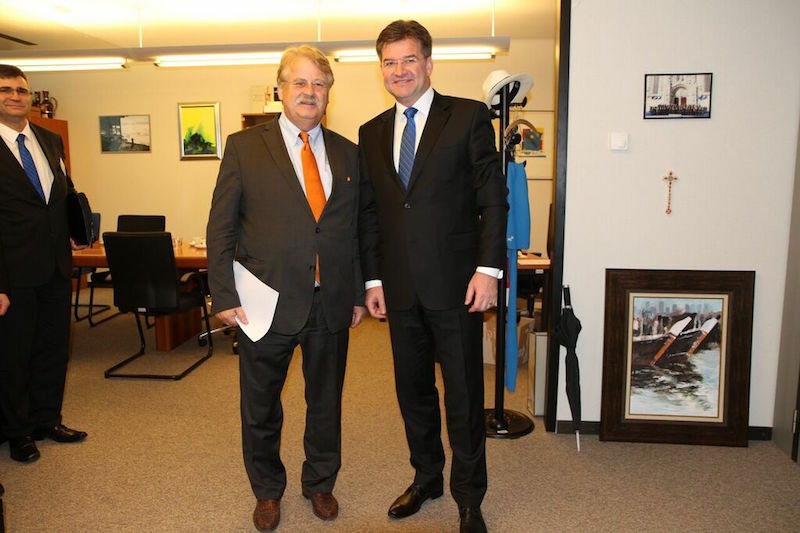 Brüssel Prior to the presentation in the Foreign Committee of the European Parliament (AFET) of the Presidency priorities, Chairman Elmar Brok received the Slovak Foreign Minister Miroslav Lajcak in his office to discuss the EU’s enlargement process and topical international issues. Mr Brok emphasised inter alia the need for more political cooperation in the enlargement countries in order to enhance domestic stability as well as for pushing forward with the visa liberalisation for Ukraine, Georgia and Kosovo. They also assessed the EU’s sanctions policy vis-a-vis Russia, EU-NATO relations following the Warsaw summit, the situation of rule of law, including the role of the General Prosecutor, in Ukraine, the overall developments in the Western Balkan region with regard to their membership perspective as well as the internal problems facing Bosnia and Herzegovina.